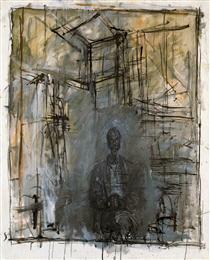 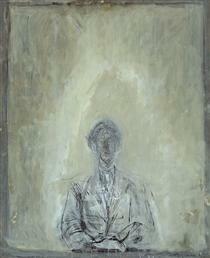 In Giacometti's whole body of work, his painting constitute only a small part. 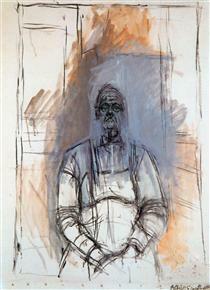 After 1957, however, his figurative paintings were equally as present as his sculptures. 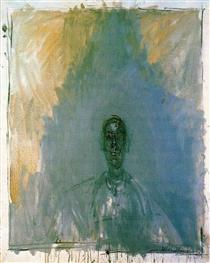 His almost monochromatic paintings of his late work do not refer to any other artistic styles of modernity. 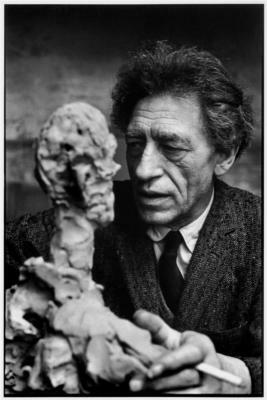 Giacometti was born in Borgonovo, Switzerland, in the canton Graubünden's southerly alpine valley Val Bregaglia near the Italian border, as the eldest of four children to Giovanni Giacometti, a well-known post-Impressionist painter and Annetta Giacometti-Stampa. 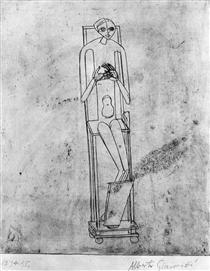 He was a descendant of Protestant refugees escaping the inquisition. 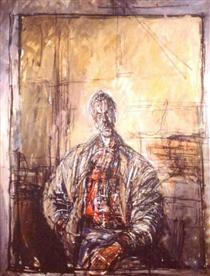 Coming from an artistic background, he was interested in art from an early age. 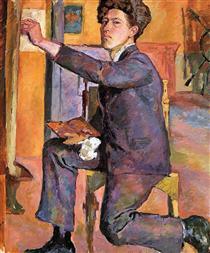 Alberto attended the Geneva School of Fine Arts. 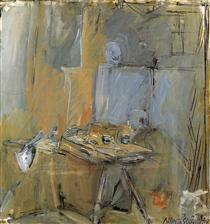 His brothers Diego (1902–1985) and Bruno (1907–2012) would go on to become artists as well. 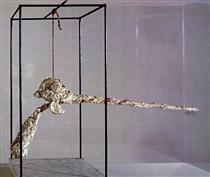 Additionally, Zaccaria Giacometti, later professor of constitutional law and chancellor of the University of Zurich, grew up together with them, having been orphaned at the age of 12 in 1905. 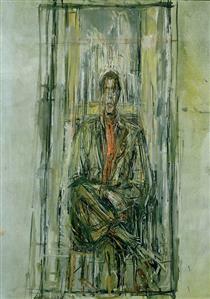 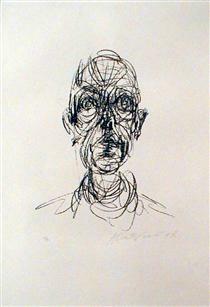 Between 1936 and 1940, Giacometti concentrated his sculpting on the human head, focusing on the sitter's gaze. 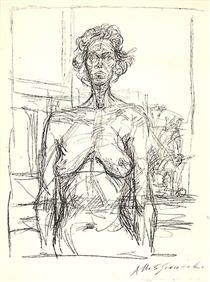 He preferred models he was close to—his sister and the artist Isabel Rawsthorne (then known as Isabel Delmer). 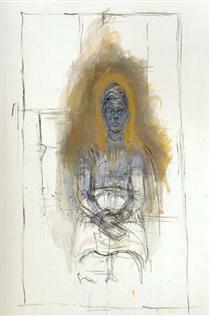 This was followed by a phase in which his statues of Isabel became stretched out; her limbs elongated. 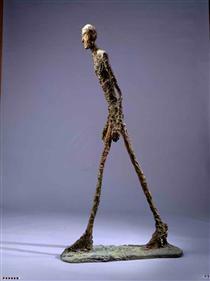 Obsessed with creating his sculptures exactly as he envisioned through his unique view of reality, he often carved until they were as thin as nails and reduced to the size of a pack of cigarettes, much to his consternation. 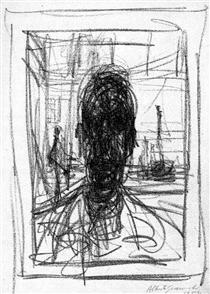 A friend of his once said that if Giacometti decided to sculpt you, "he would make your head look like the blade of a knife". 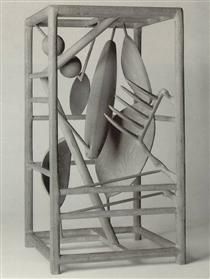 After his marriage to Annette Arm in 1946 his tiny sculptures became larger, but the larger they grew, the thinner they became. 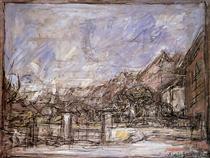 Landscape near Stampa Sun Alberto Giacometti ? 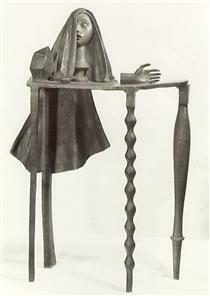 Surrealist Table Alberto Giacometti ?